Virgin, Harlequin, One Stop, Dobells, Rock On, HMV, Cheapo Cheapo, Disci, Andy’s, Woolies, Our Price and a million and one places called The Spinning Disc. It doesn’t matter where you did your record shopping in the far long-ago, they’re all in “Going For A Song”, Garth Cartwright’s information-packed survey of UK record shops past and present. 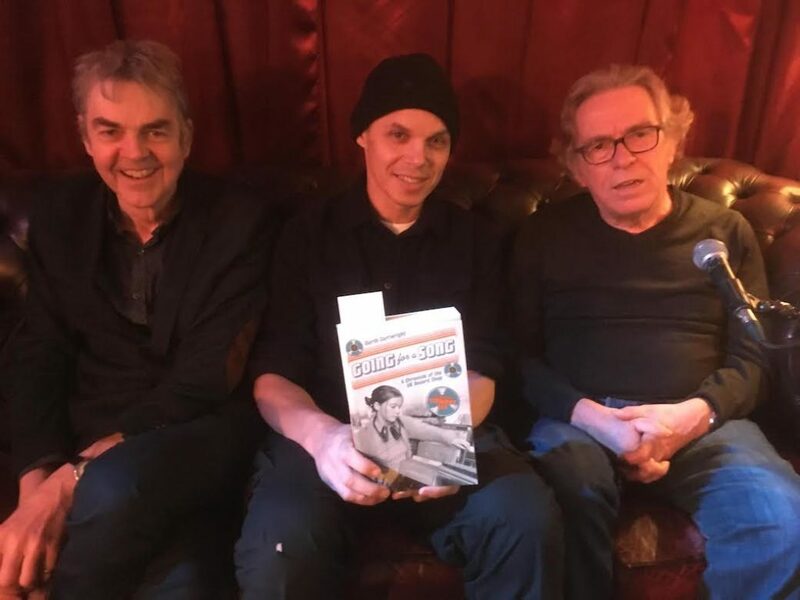 In this podcast he talks to Mark and David about record retailing in this country from the days of the cylinder through the danceband boom of the thirties and the madness of Beatlemania to the recent rebirth of very specialist indies. It’s a road we’ve all trodden one way or another and it’s good to have it recognised. The only thing I ever wanted to do when I left school ( 1967).. was work in a record shop… music was & still is, my life..
Gough’s used to sell cylidar records back in the day & still had one plus the machine !